Poker journalist turned author, Lance Bradley celebrates the release of his first book The Pursuit Of Poker Success on June 7. Whether it comes to poker or to life, the path to chasing your dream is bound to be a unique journey. 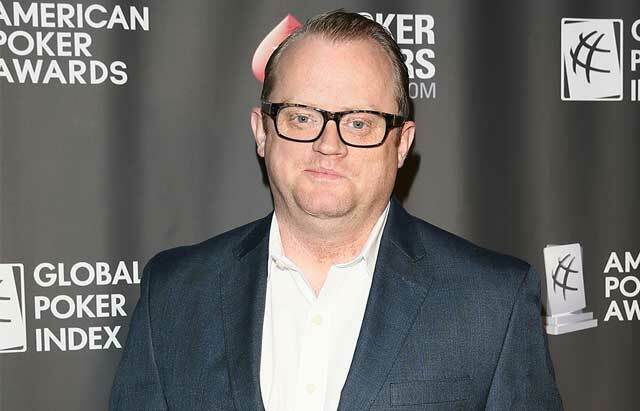 For Lance Bradley, the release of his new book The Pursuit of Poker Success not only provides his readers with the stories and insights of those who have found success in the game of poker, but it also marks a major milestone for Bradley himself. Those who have been involved in the poker industry for even a short amount of time will recognize Bradley as a linchpin to the poker community. Bradley has practically done it all. In the early 2000’s he worked as an online poker room manager for Bodog, eventually putting his Journalism degree to work by transitioning to the media. He rose to the ranks of Managing Editor and, eventually, Editor in Chief of BLUFF Magazine. Now, the American Poker Award-winning writer resides as the President and Editor in Chief of this very organization, PocketFives. A job that, if you ask him about it, he loves. Then, last year, the inspiration for Bradley’s new book came to him in the form of a Tweet. Bradley, a prolific user of the social media platform, looked to prove that success in poker could not be defined. He reached out to his followers and asked the question – “How do you define success in poker?”. The results were vast and varied from accolades to cash to simply paying the bills. It was then he knew he may be on to something. Bradley, in search of an answer, decided to use the connections he had accumulated in his over 15 years in the industry. His idea: talk to some of the most respected players in the game and ask them how they became the player they became. He’d ask them how they defined their own success. “The goal was really to be able to put in words and on paper exactly what are some things that people can do to be a better recreational game player or a better semi-pro player. What are some things that they are going to face and what do these guys do that allowed them to become successful.” Bradley said. But this isn’t a strategy book. At least not in the classic sense. There’s no advice on how to play Jacks from MP2. That’s not to say there isn’t a good deal of strategy to be learned from The Pursuit of Poker Success. 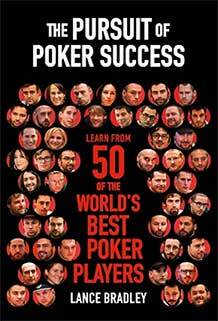 Indeed, it’s a book with candid conversations from fifty of the most impactful players in poker history. Players like Erik Seidel, Daniel Negreanu, Fedor Holz, Adrian Mateos, Jason Somerville, Brian Rast, Maria Ho, Phil Galfond, Daniel Cates and Phil Hellmuth, just to name a few, all agreed to an interview. The list of superstars who opened up to Bradley is more than impressive. Perhaps just as impressive was the art of locking down conversations with this elite group in the first place. According to Bradley one of the most difficult parts of writing the book was nailing down the schedules of a group of players who play the game of poker so they don’t have to keep schedules. Trying to catch these pros before a tournament, once they’ve busted, after they’ve been grinding the highest stakes cash games until the early morning hours proved to be a hurdle. That compounded with the time difference between Las Vegas, where many pros reside, and his hometown of Atlanta kept Bradley up nights. Bradley persisted. “There was a lot of ‘text me in the morning and I’ll see where I’m at’,” laughed Bradley. But 50 interviews, 90,000 words and nine months later the draft of Bradley’s first book was complete. Not a manual of how to play, but a potential guide for poker players to find their own path to success in the game. Bradley has taken that route in his own career. He’s worked hard, had his fun in journalism and now, he’s found success in fulfilling the career goals of his second-grade self. On June 7, Bradley’s hard work will be available via poker publishing powerhouse D+B Publishing as well as on Amazon.